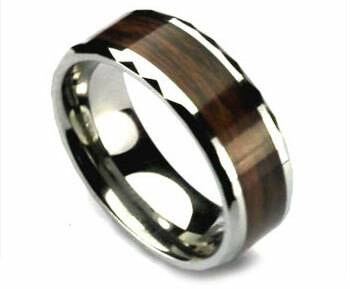 This stunning tungsten ring features a woodgrain finished centreline, as well as faceted edges. It has great presence, and is a must for any collection. You like a touch of elegance!